60 hours to go. - I bet you think this blog is about you. Hopefully I can sleep for at least 12 of those. I've spent the rest of the day getting my stuff into containers and chucking them into the car. Now I'm eating my last BTB burrito, then I have a few more hours of packing ahead. Remember when I was fun? Yeah, me either. 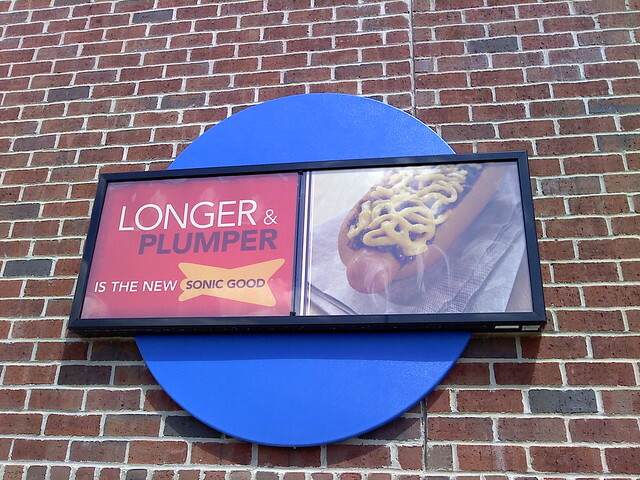 Behold, Sonic embraces phallic jokes to sell coneys. Good deal. I know they exist somewhere in Maryland, at least.